Cryptocurrencies are digitally stored on the blockchain, and the address of the storage location is encoded into the public and private keys. In other words, these keys point to the location or “address” where the cryptocurrencies are stored on the blockchain. Blockchain activity is anonymous, so without a way to tie a key to a named owner, anyone who obtains these keys will have access and “own” the crypto assets. This is why security of these keys is a major talking point in any crypto discussion. Private and public keys are usually assigned and stored in wallets. There are various types of wallets, which can broadly be classified into hardware and software wallets. You can learn more about cryptocurrencies by watching the comprehensive video guides on LiveEdu. 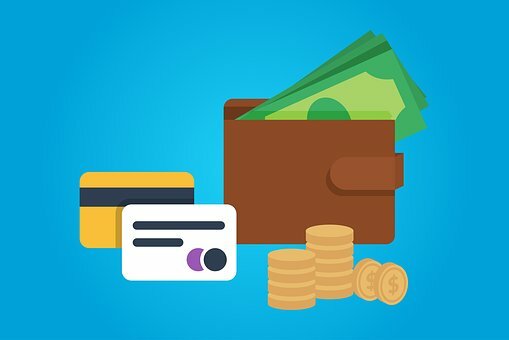 This article emphasises on web-based wallets, which are a type of software wallets. Here are 7 of the simplest and the most secure web-based wallets. So, what do these web-based cryptocurrency wallets offer to users? Metamask is one of the simplest and secure web-based wallets available today. It is a browser extension wallet that can be used to store Ethereum and all tokens that are programmed on the ERC20 blockchain platform. An advantage of Metamask is that it does not require the use of repeated logins, and once a wallet is imported into Metamask, it stays there until you remove it. As such, you will not need to enter your public keys repeatedly, while your private keys are virtually out of sight. The disadvantage of Metamask is that it cannot be used to store Bitcoin and other cryptos which are not ERC20-based. Strongcoin is a hybrid web-based wallet used for storing Bitcoin. Strongcoin is one of the oldest web-based wallets in the market today; it has been providing services since 2011. Strongcoin deploys a technology where encryption of data is done at the browser level even before the data is relayed to the wallet’s hosting servers. Therefore, all information about private keys is fully encrypted, which ensures that only the wallet’s owner has access to this information. You can also print your key information as a PDF document, which will not affect the encryption status of the information. Blockchain.info is a web-based wallet system which allows the user to store Bitcoin and Ethereum. Worth mentioning, it has a complex system of account login to ensure that only the coin owner has access to the wallet. Any login attempt triggers the sending of a secure link to the user’s email address which was used in creating the account. Consequently, the login process must be completed from that link. The wallet also works with an optional 2-factor authentication (2FA) system, which requires the use of software such as Google Authenticator to generate a one-time secure code for completing logins as well as crypto deposits and withdrawals. Another advantage of the Blockchain wallet is that it generates a new public address every time, which significantly reduces the risk of address compromise. Jaxx is a multi-cryptocurrency wallet which was created in 2014 by Antonio Diiorio, one of the co-founders of Ethereum. It is available as a Chrome extension, the web-based version. It also has desktop and mobile versions. Jaxx is able to hold multiple cryptocurrencies, which makes it ideal for crypto enthusiasts who want to have several cryptocurrency holdings in one easily manageable wallet. Another advantage of Jaxx is that it connects seamlessly with various exchanges, allowing you to seamlessly move acquired cryptos to the Jaxx wallet where complete user control of private keys is guaranteed. All versions of Jaxx are synced automatically, meaning that any changes made by the user on the mobile version will also take place on the Chrome extension. The Chrome extension ensures that the vulnerability of login from a web browser is eliminated, which adds an extra layer of security. As the name implies, MEW is a web-based wallet exclusively meant for Ethereum holders. It has a watch-only feature, which means that you can view your account details without completing transactions. This web-based wallet requires mastery of several functions to be able to perform tasks such as viewing all possible ERC20 tokens where you have balances and adding ERC20 tokens to the wallet. MEW also integrates with other wallets such as Jaxx, Mist, imToken, Ledger, and Metamask. This is another web-wallet that works exclusively with Bitcoin. The advantage of GreenAddress is that it works on multiple interfaces, so in addition to a web interface, the wallet also works on mobile devices and desktops. GreenAddress also has a watch-only feature (just like MEW), and so does not expose your account to the vulnerabilities that occur from unsecure login attempts. You can use GreenAddress to check your transactions and your balances. An additional security feature is the use of the so-called “2-of-2” signatures, which are provided by both the user and the wallet provider. Altcoin.io is another multi-currency crypto wallet that works on the web and on desktops. It is a decentralized cryptocurrency exchange that is easy to use and deploy. Altcoin.io is community-driven, which eliminates the risks of working with a centralized exchange. It is difficult to lose your cryptos via hardware failure, missing credentials, or other acts of negligence. When using web-based crypto wallets, your primary consideration should be security. To safeguard users, most online-based crypto wallets have implemented an extensive range of security measures, including multiple login confirmations, IP recognition, and 2-factor authentication. The wallets mentioned in this article are quite secure and confer a high degree of security. However, no amount of security can take the place of care. To maintain the safety of your wallets, it’s imperative that you stay vigilant. Ultimately, their security will depend on how careful you are when using them.